IfTheyOnlyKnew, babybear and whatsit like this. Are you going to need a hope & healing thread for lady cabin? Oh no you're up too? Who said that? Can't a guy just start a breakfast thread? IfTheyOnlyKnew, NipplesAndToes23, babybear and 1 other person like this. IfTheyOnlyKnew, babybear and bill like this. It's early for you. Chief not so much. I normally up at this time to go to work. Insert 1950s black and white movie star or starlet reference here. IfTheyOnlyKnew, babybear, GoshGeeGolly and 1 other person like this. What has got y'all up at this hour? Cats woke me up. Now I'm up. I have Storm of Swords playing on my Alexa. We had a big clap of thunder and lighting here. Came out of nowhere. Dogs are scared now. aw We were supposed to get some but nothing so far. Insert racially charged comment here. 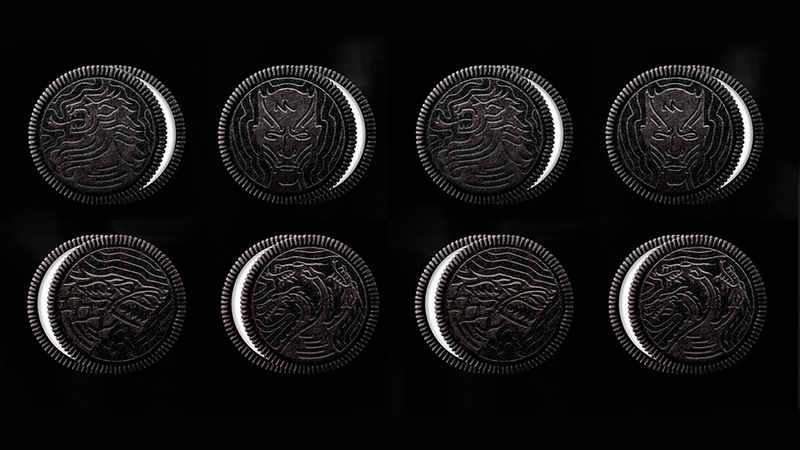 Game of Thrones Oreos. Not sure what the connection is other than selling more cookies.